I don’t know about you, but I always look forward to this time of year. 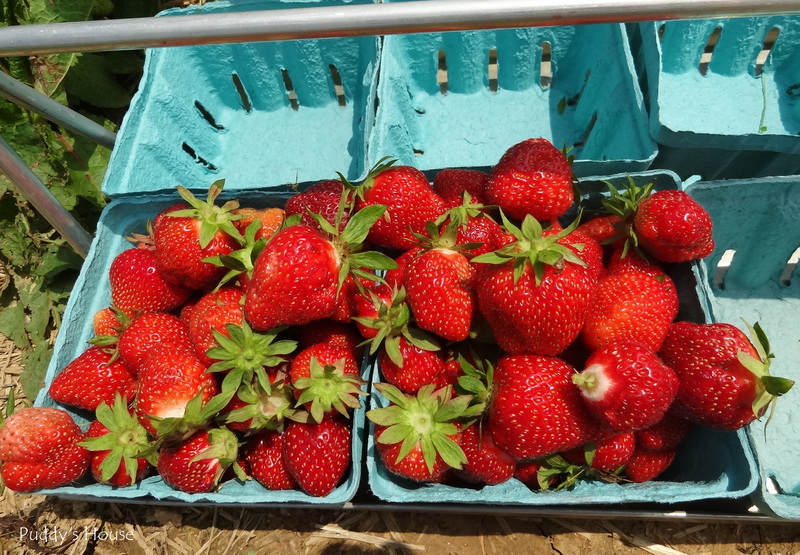 Not only does the warm weather finally arrive, but so do local strawberries. 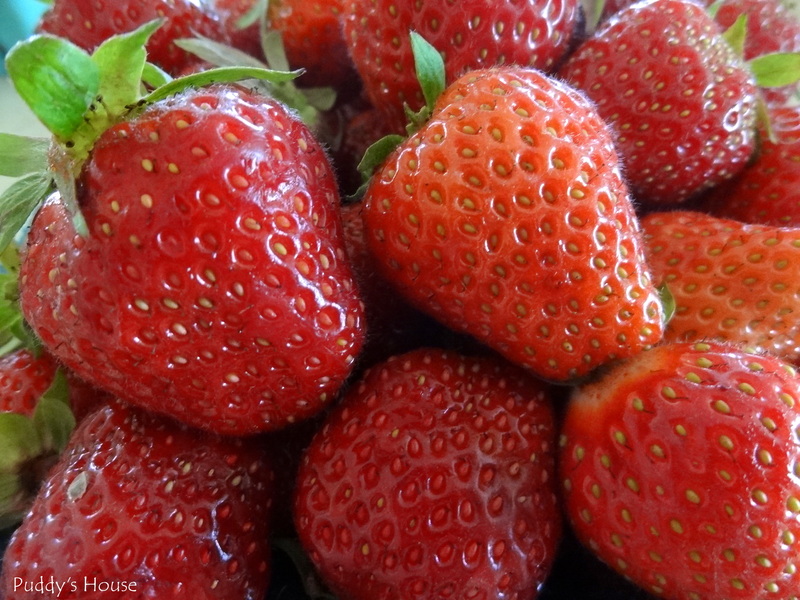 It is a very short window of time that local strawberries are available. And, one of my first thoughts when the season arrives is Strawberry Shortcake. There are many recipes for Strawberry Shortcake, but I’ve never met anyone outside of my family that makes it the way we do. So, today I’m sharing our family recipe. I’m giving you fair warning…it’s addictive! I almost had Strawberry Shortcake for breakfast today because I enjoy it so much. This time, I actually picked my strawberries. It was a lot of fun, and I might go try to pick some more this season. 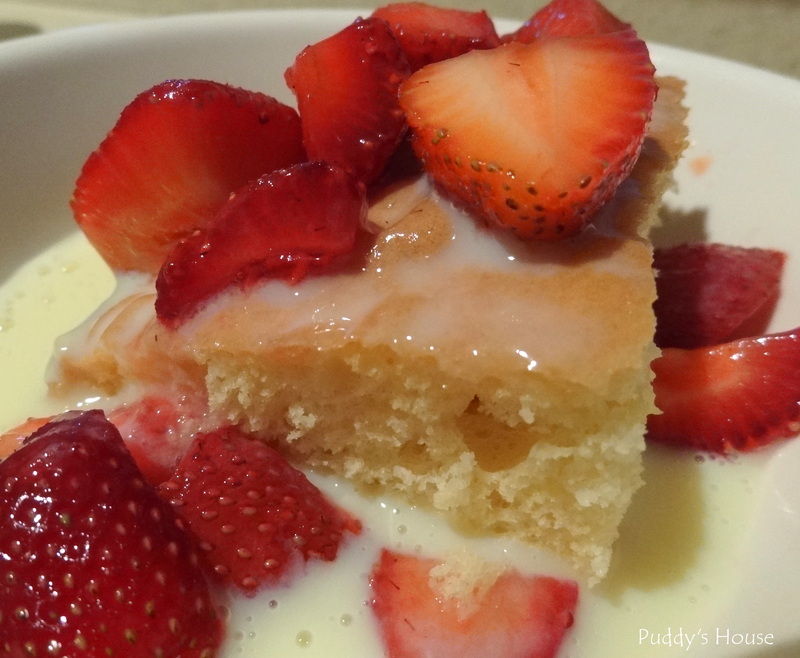 The recipe is quite simple: yellow cake mix, cook and serve vanilla pudding, and strawberries. Bake the yellow cake according to the directions on the box. You can bake in whatever size pan suits your needs. I usually use a 9×13 pan. While the cake is baking, you can begin to make the pudding. For the pudding, the only variation is to double the milk amount. The larger box of vanilla pudding says 3 cups of milk, so I use 6 cups in the pudding for shortcake. I used skim milk and it turns out fine. You really just want it to be runny pudding. Once the pudding boils, allow it to cool, and then refrigerate. Wash your strawberries and remove stems. Cut the strawberries into halves or quarters depending on the size and your preference. Then, sprinkle the berries with sugar. 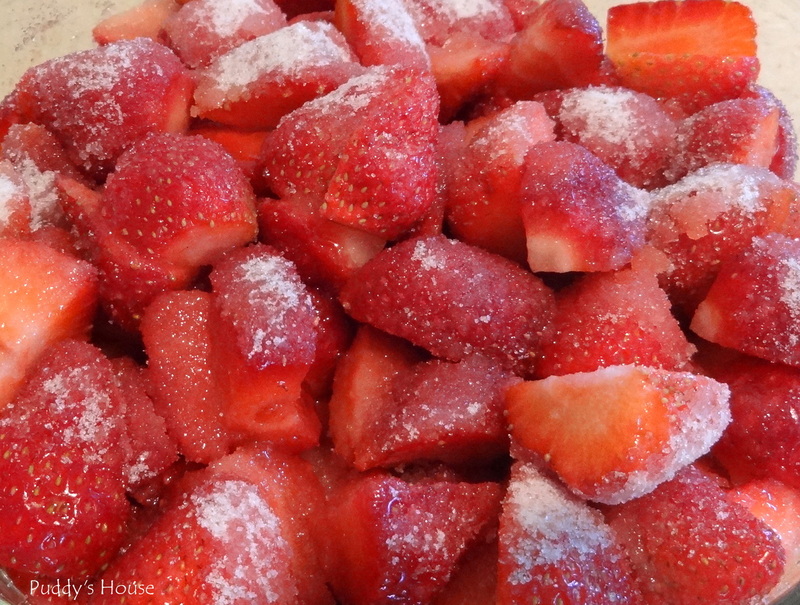 I used 1.5-2 quarts of strawberries and sprinkled 2 tablespoons of sugar on them. Refrigerate strawberries. Once your cake is done and all of your ingredients have had time to cool, you can make each dish according to individual preferences. I keep the pudding in a small pitcher so that it is easy to make to order. 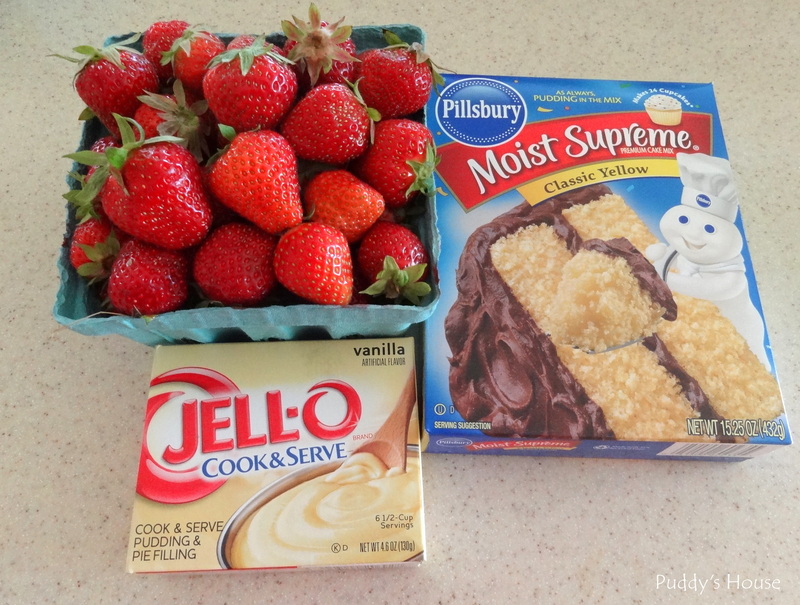 Cut a slice of cake, pour some pudding on it, and add strawberries. 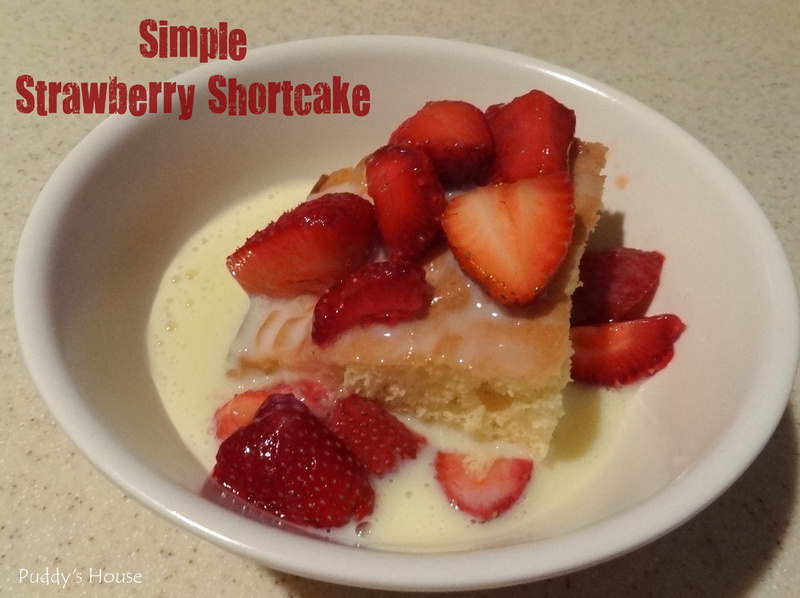 You have a simple and delicious strawberry shortcake. Enjoy! How do you make strawberry shortcake? We had some over the weekend. Judy sent out two quarts of berries with Kirby. Kirby helped me make it. The only comment I would make is that I prefer the ‘pudding’ to be warm. Yum, trying your recipe for Fathers Day Leslie. I’ll let you know how it turns out. Thanks Debbie for the comment! I hope you enjoy!